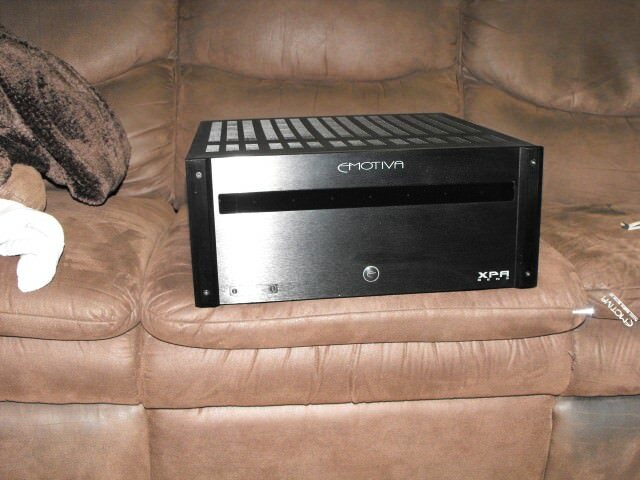 I've had this amp for about 12 years now. Never a problem. Noticed yesterday the left speaker was silent. It's definitely the amp, and not the speaker or pre-amp output. Thought I might tear the sucker open and look around a bit. Hoping something obvious jumps out at me. I'm not an electronics tech, but I can follow a logic drawing, use a Fluke, and solder. Any tips, or suggestions before I start the autopsy? My options for electronics repair are quite limited. Shipping costs would be as much as buying a refurbished unit, I suspect.. 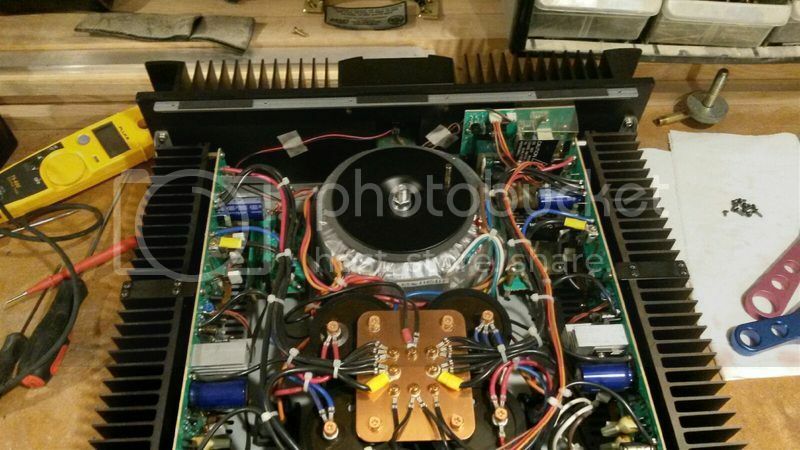 The first thing to do is to remove the top panel and inspect the two fuses on the main amp board of the channel that is not working. You will probably find that one or both of these fuses are bad. Unfortunately when the 1080 starts blowing fuses it is usually an indication of other issues that will cause the fuses to blow again in time. That would probably require a trip to a service depot, unless you are handy with a soldering iron? Thanks Andrew! I am pretty handy with an iron, if I know what to replace. I'll open up the case and look for fuses. I have nothing to lose at this point. Sometimes the real problem is acquiring the needed parts. Failing any blown fuses look for caps that are leaking or bulged and use you nose, sniff around for anything that smells like melted plastic. Take some pics and upload them if you cant see anything. 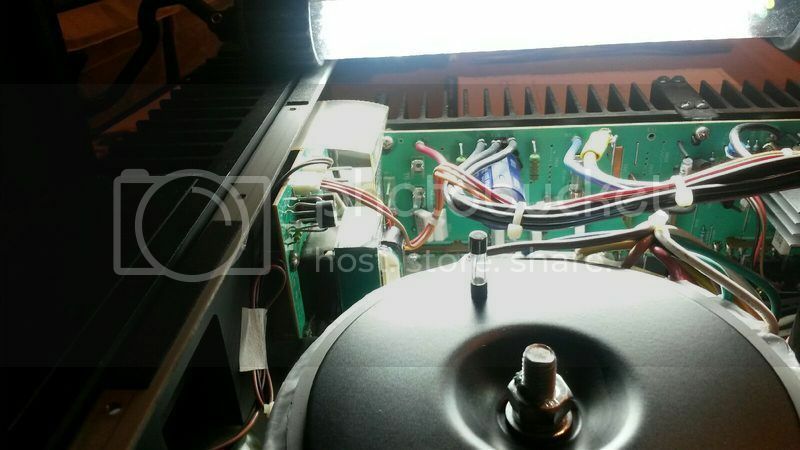 When I fixed my plasma the culprit was hiding under a heatsink but I sniffed er out bye. Oh no, say it isn't so. A bunch of us got them about the same time. Not yet, no... Taking advantage of an unusual stretch of sunny days here. I just bypassed the 1080 and am using the Denon 3808 for double duty now. It is a fuse... I can't find anything that looks like it got hot. No burnt smell anywhere. I need to find a fuse now. Fuse holder is to the left and above of where it is standing on end. What's that gold plate in the middle?